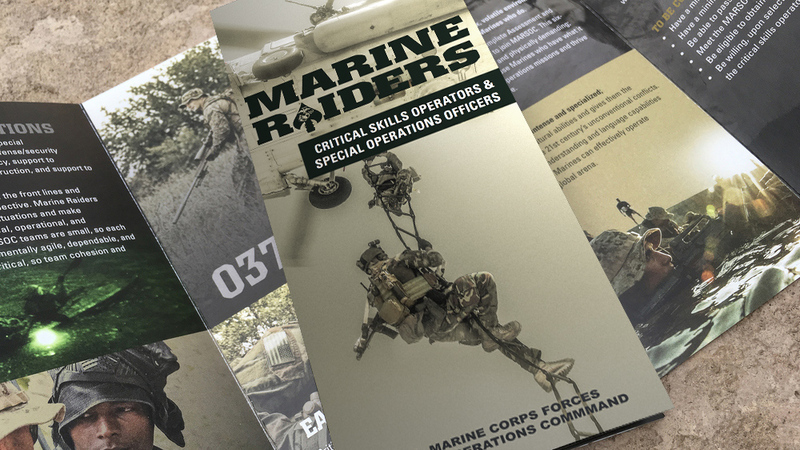 This guide to life as a Critical Skills Operator uses statistics, explanations, and photos to shed more light into the selection, training, missions, and lifestyle of a Marine Raider. This 10-week training schedule and guide is focused on the physical fitness portion of the PERRES methodology: improving physical performance through training and nutrition. 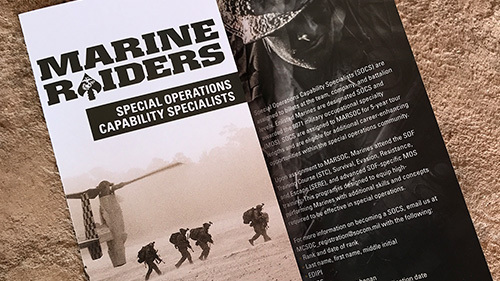 It provides photos and descriptions of exercises used by MARSOC, and will help prepare candidates for the physical fitness aspects of the Assessment and Selection process. 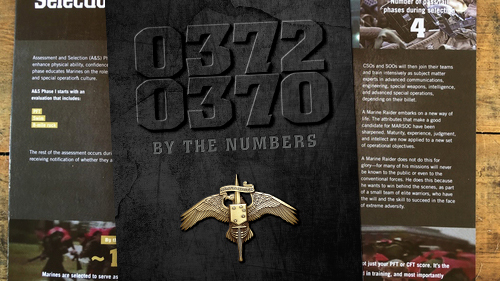 With preparation and good communication, your family can adjust to and thrive in the MARSOC community. 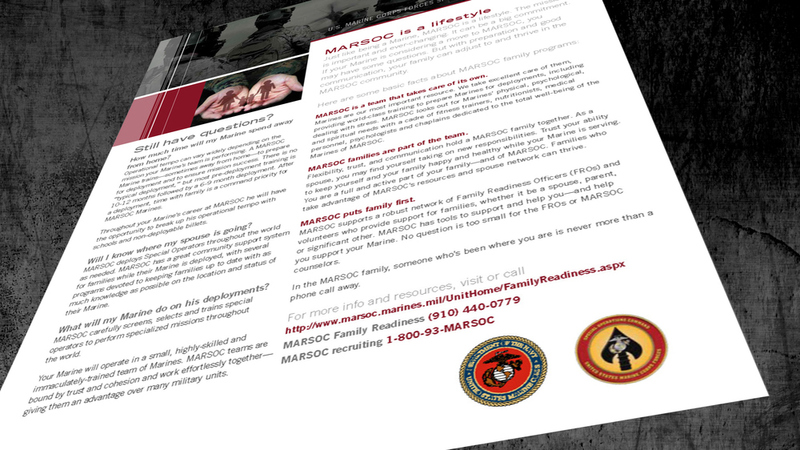 Here are some basic facts about MARSOC family programs to share with your spouse. Do you want something different—or to stay in the fight? Start here. This publication expands on the qualifications and standards, training, command structure, and heritage information provided by this site. Do you want to help shape the fight? Start here.